Crafting high quality coffee year after year is not easy. The farmers we work with do their best to consistently harvest high quality beans, but it's hard work—and their livelihoods depend on it. We’ve built our company on what they do, so we’re committed to supporting them and their community. In the Lake Toba and Aceh areas of Sumatra, aging coffee trees were producing fewer and fewer beans. And because we love and rely on the coffee from this region, we teamed up with one of our suppliers to give farmers high-quality seedlings to plant, while educating them on shade tree management and good agricultural practices. This will result in better productivity and bean quality, as well as higher incomes for the farmers and their families. Over 9 million people in Central America rely on coffee farms for their drinking water. So, through the Blue Harvest program, we helped train over 2,500 farmers in water-smart agricultural practices and restored watersheds and water systems—all to provide better, safer and cleaner water to 100,000 people downstream. Demand for coffee is expected to double by 2050, but climate change is expected to decrease the suitability of coffee areas by half. 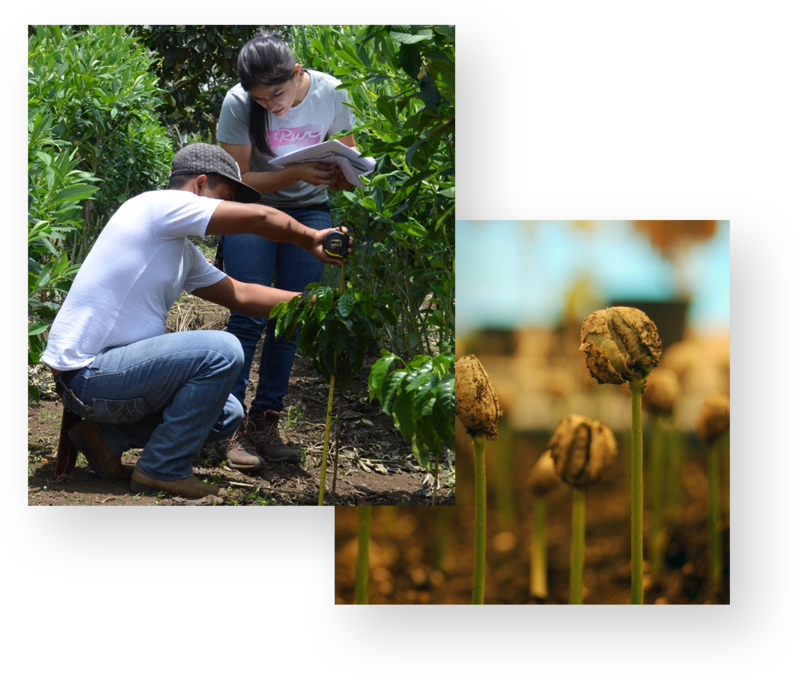 That’s why we provided essential funding to World Coffee Research, an industry collaboration to develop and test varietals that will not only withstand the negative effects of climate change but also produce higher quality and yields for farmers. That ensures coffee in your cup and better livelihoods for coffee producers. 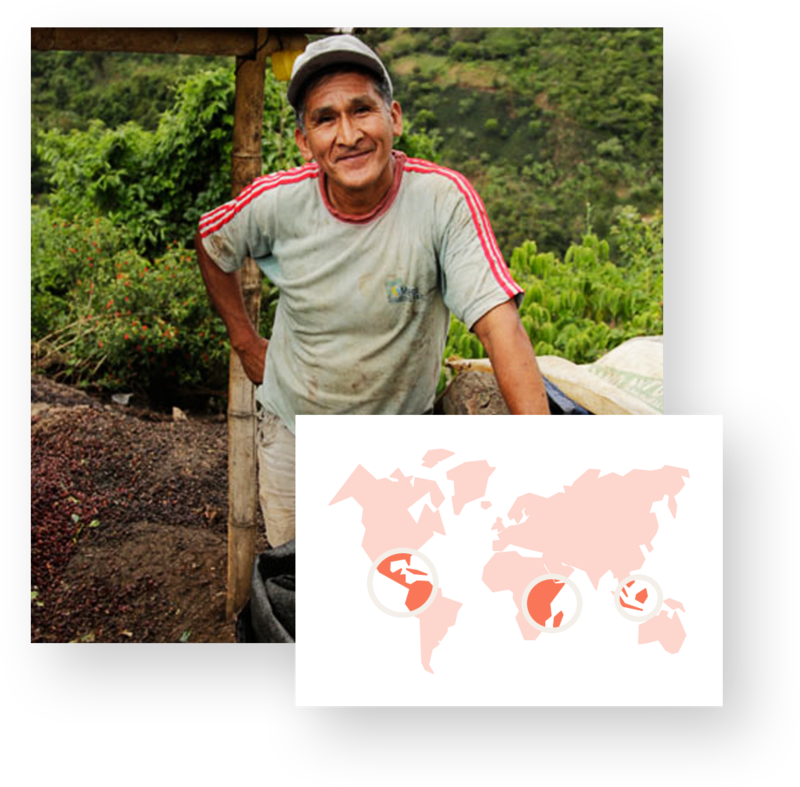 Small-scale farmers produce 80% of the world’s beans, and coffee coops help connect us to them. 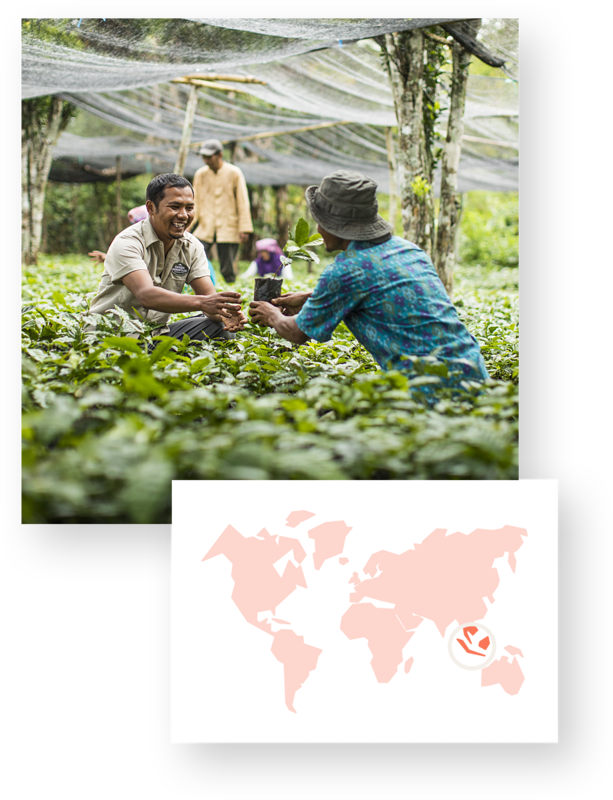 Through our ongoing partnership with Root Capital, USAID, and others, we’ve supported trade financing, long-term loans, financial training and advisory services to strengthen 180 coffee enterprises representing over 340,000 farmers. All of our programs are backed by Keurig Green Mountain, Inc. Images were provided by Blue Harvest, World Coffee Research and Root Capital.